A variation of the usual rice and dal combination, this recipe uses jowar and urad dal. Also, this particular recipe doesn’t require fermentation and this prevents acidity. 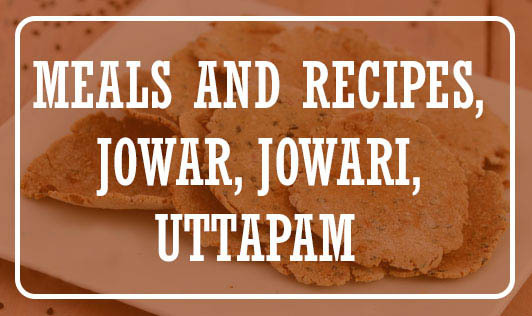 Rinse and soak the jowar and urad dal separately overnight. Drain the excess water and grind together in a blender to make a fine paste. Use little water if required. Add the ginger-green chili paste, salt, and fruit salt and mix gently. Heat an iron griddle or a nonstick pan and grease with a little oil. Pour a ladleful of batter on the pan and spread it evenly to make a 5” uttapam. Garnish with tomatoes and coriander and cook on both sides using a little oil.